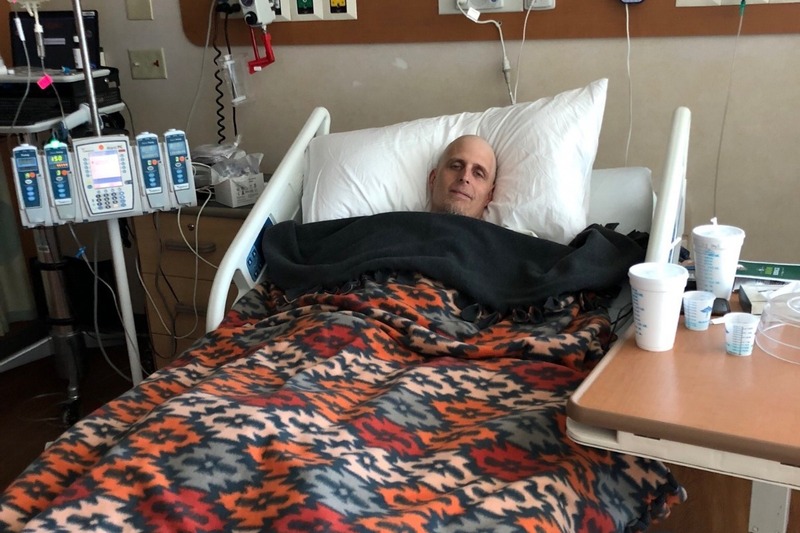 Brad had been dealing with medical issues and after a battery of tests he was diagnosed with Acute Myeloid Leukemia (AML). Aggressive chemotherapy and a long uphill battle has started. 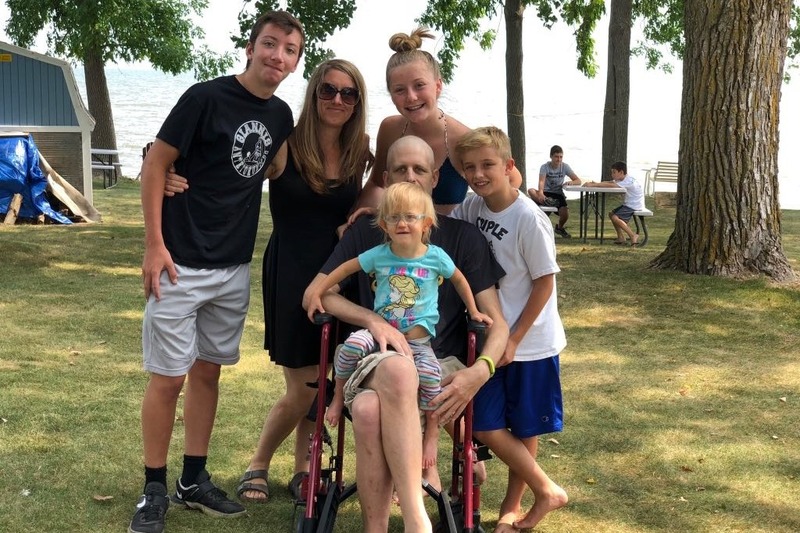 Several of you have asked what you can do to help, and although the Helms Family has been reluctant to receive assistance, it would really help relieve the financial stress on the family at this time. 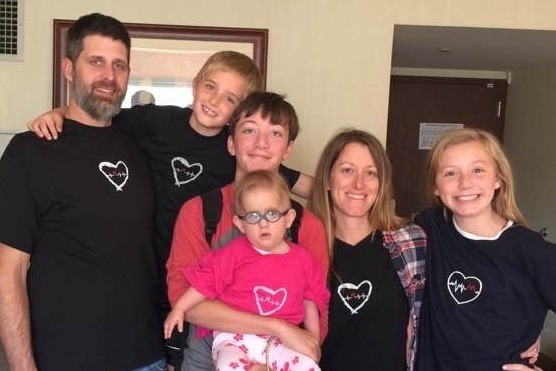 Fighting this is going to be a full time job for Brad and his family! We all know that health insurance doesn't cover much and Brad is not able to work at this time. Please donate what you can and if you know anyone else that is interested in helping, pass this link along. Thank you so much! Last month Brad’s leukemia blasts were at 30%, he did a ten day outpatient chemo to try and get that number down. Unfortunately, it hasn’t seemed to work. He had a biopsy last Wednesday and he got the results on Friday. The blast’s has doubled to 60%. The Dr. is going to look around at different hospitals for different trials. We will talk to him Tomorrow and have to decide the next steps. His other blood numbers are good so that is a positive. Brad was transferred to the university of Chicago on July 19, where the “natural killer” trial will take place. He was taken off of a bunch of his meds there, he still had no energy as his hemoglobin was/is so low. 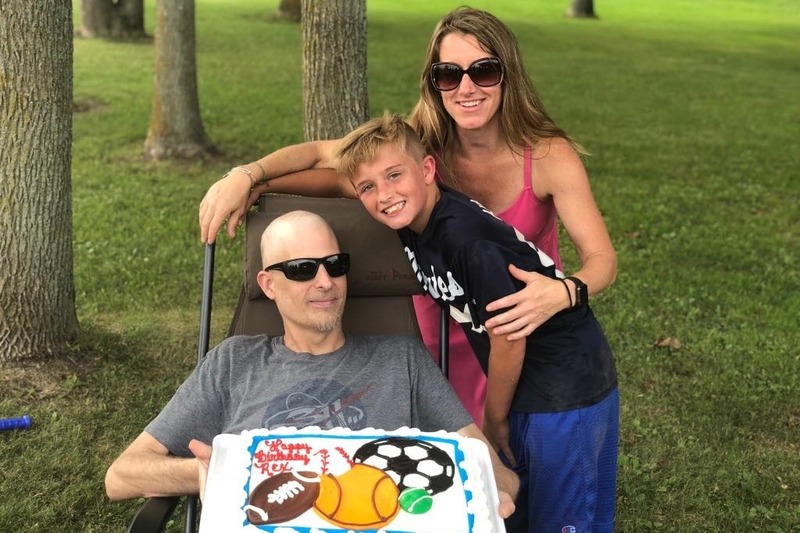 They still allowed him to come home on July 26, after getting several rounds of fluid but his heart rate went sky high and his blood pressure would go really low every time he stood up. Anyway, hospitals are of coarse the sickest places. We were pretty excited to get out!! So he has been home and out of the hospital since then. He made it to Rex, Marley and Lennon’s birthday. He has started physical therapy and goes to the Dr. twice a week. His next bone marrow biopsy will be August 29. This biopsy will tell him if the chemo pill that he takes daily is helping or just keeping everything at bay and if it’s just keeping everything at bay then he will go with the trail. On September 7 Brad and his brother will travel to the University of Chicago to discuss plans for the “natural killer”trial. If the chemo pill is working then he will just continue to try to get into remission either way the final goal is transplant. we are unsure as where that will be because if he does not reach remission University of Chicago will do a transplant but most other places will not so for now it’s Mayo, Madison, froedart or the University of Chicago it all depends on the bone marrow biopsy and the “natural killer” trail. He still struggles with pain every day throughout his whole body but he is being as active as he possibly can with his white blood count so low and his hemoglobin so low he gets out of breath walking a couple feet. So for now we keep on keeping on take each day at a time. Kari kindly shared a recent picture of Brad to share with all who are supporting him during this difficult journey.